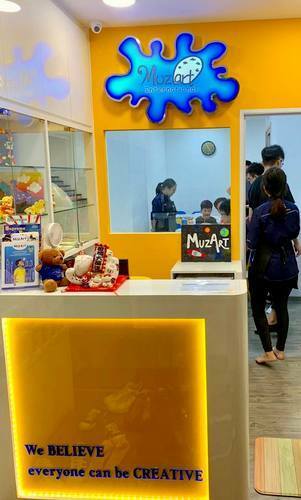 Children’s educational centre MuzArt has a network of 10 branch locations in Singapore, including one within AMK Hub mall (53 Ang Mo Kio Ave 3). Muzart offers programmes that feature specially designed exclusive art curriculum and teaching methods to help elevate child’s important traits. These core traits include artistic ability in general, confidence, creativity, persistence, problem solving skills, cognitive skills, behavioural issues, socialising skills, as well as emotional intelligence. Many of these traits could often be overlooked but they are crucial in a child’s developmental years, which is why in the centre’s Art Classes for children they strive towards providing a holistic platform that not just encourage creative thinking but also enhances imaginative productivity in a fun & interactive way. The official MuzArt Education centre Facebook brand page is located at www.facebook.com/MuzartSingapore/. You can also follow MuzArt’s official Instagram account, which in turn is available at www.instagram.com/muzartsingapore/.